The Department of Dance & Theatre is part of the College of Liberal Arts and Social Sciences at UNT. The diverse curriculum offers breadth and depth in academics and performance. The department offers a B.A. in Dance, Dance Teacher Certification, as well as a dance minor, and no graduate degrees are offered at this time. There are approximately 100 dance majors with 5 full-time faculty. The faculty teaches from a kinesiological base, using a somatic approach to produce healthy dancers. Focus is placed on the education of the total individual and prepares students soundly for any graduate dance program. Admission to the dance program requires an entrance and placement audition. Dates for prospective student auditions are posted on the dance admissions page of our website. Student performance opportunities include faculty and guest-artist choreography, as well as student led projects. In addition to the department concerts, faculty members often use student performers in commissioned choreography projects. Recent Guest Artists include Kerry Kreiman, of Contemporary Dance/Forth, Brenna Monroe-Cook, of the Jose Limón Dance Foundation, Inc.; and Bebe Miller. Student dancers and choreographers participate in the ACDFA regional dance festival. The student organization, Dance UNiT, sponsors travel and choreographic projects. The program offers eight levels of Modern and Ballet technique, two levels of Jazz, and two levels of Tap technique. Students have unique opportunities to work on the technical and design aspects of performance in areas such as costumes, lighting, and stage management. Scholarships are available based on merit and talent. The national dance honors society, Chi Tau Epsilon, has a chapter in the department. The choreography of the dance faculty has been presented nationally and internationally. Technical design faculty have won awards for their costume, lighting, and set designs for dance and theatre. Facilities include wood and sprung floors, large rehearsal/class studios and a 409 seat performance venue. Dance and Theatre faculty continue to work in the industry, locally, nationally and internationally. Department alumni work with professional dance and theatre companies as dancers, choreographers, actors and artistic directors. Others are educators or administrators in universities, public schools, and private and professional studios. Still others have pursued careers in areas such as dance therapy, movement analysis, the dance fitness industry, radio, television, and film. The University of North Texas is the leading university of the Dallas-Fort Worth region. It offers financial aid, legal aid, counseling and job placement for students. 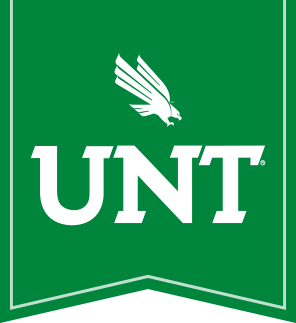 For more information about the University of North Texas, please visit unt.edu.